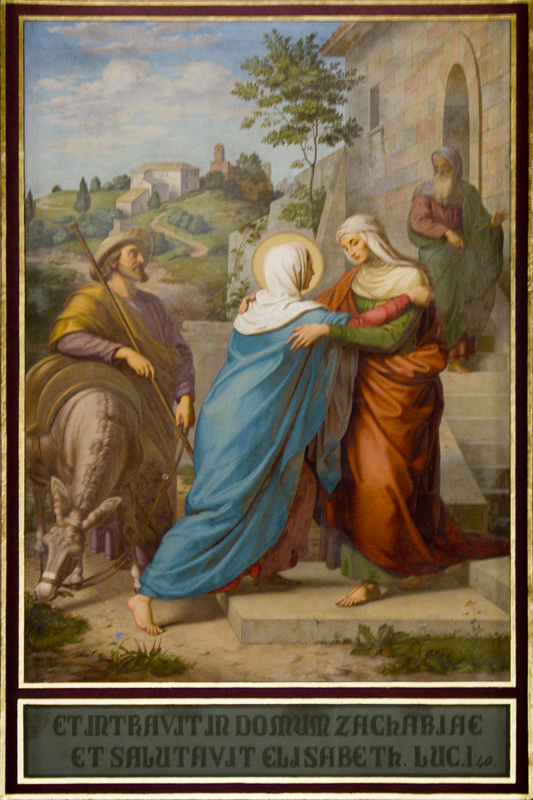 Audio: Listen to A Hymn for the Visitation chanted. When a kindred salutation named in faith the mystic Guest. Crowned with fruit of life to come. “Comes to me this great reward? At whose word each generation now henceforward names her blest. Praying that in realms undying we at one with Life may be. Consubstantial, coeternal, while unending ages run. Amen. *The fresco above is from the Imperial Cathedral of Speyer, Germany, the same location of our fresco notecard artwork and several of our Christmas cards.